Nail Polish has become one of my best friends when it comes to painting my guitar picks. I used to collect certain chromatic colors for my nails. I would pick nail colors by holding my hand up to a car. But even that was limited. I loved having color on my nails but often went with a classic black. Once I started making guitar pick pendants, I had a new use for my polish. 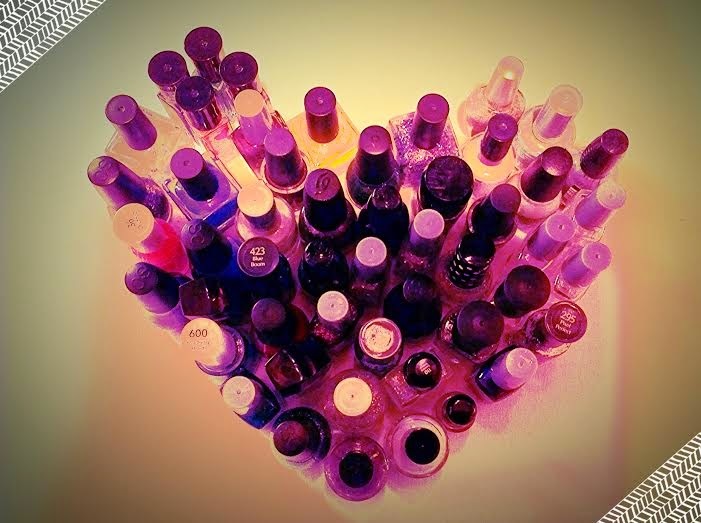 It also reignited a obsession with nail polish. I found out pretty quickly in the creative process that the vivid colors and small brushes in contained bottles made perfect paint. Nail polish is easy to find and pretty cheap. This also gave me the opportunity to create and mix my own polishes to use as paint for my picks. Over time I began to look at pages of different nail polishes on Etsy. Eventually I found Indie Polish's and Digital Nail's polish. In terms of paint types, like glow in the dark, glitter and color changing...nail polish has that covered. After a while I accumulated quite a bunch of random nail polishes--which I rarely use for my nails. Nail polish makes the perfect paint for my guitar picks.